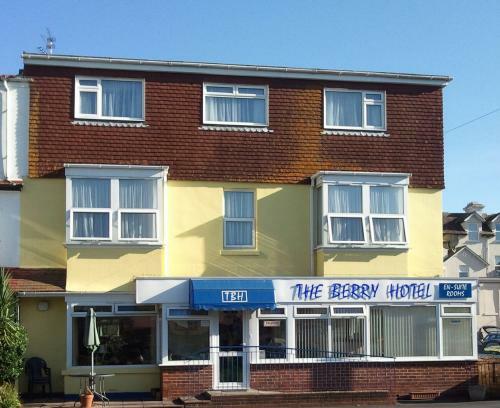 The Berry is a family run, no smoking Bed and Breakfast in the heart of Paignton, situated on the level - just a 2 minute walk to the beach, harour, Paignton Green, multi-plex cinema, shops, cafes, restaurants, pubs, and evening entertainment. One of the most central Paignton hotels. Free, off street parking at the front of the hotel. All vehicles and contents are left completly at the owners risk. For excellent guest service, delicious food and great hospitality visit our Paignton hotel - a top quality family hotel in Paignton, Devon, with sandy beaches and great attractions nearby. Enjoy your breakfast in our sunny, bright and spacious dining room. Full English, continental &vegetarian options are available. If you have special dietary needs, please phone before your arrival. Gluten free cereals and bread are always available. So close to everything including the Paignton to Dartmouth Steam Railway. Paigntons famous Zoo environmental park is also within easy reach. Holiday in Paignton, Devon, at a top quality family hotel providing bed and breakfast accommodation close to Paignton beach and lots of great attractions. The Berry is ideal for families or couples wanting to have fun and excitement in the many attractions Paignton has to offer or relax on the sandy beaches. Only children aged 5 or over are accepted and are charged half price up to and including age 11, 12s and over are charged at the full rate. The English Riviera in South Devon is an ideal holiday destination. Paignton and Dartmouth Steam Railway from Paignton is the holiday line with steam trains running for seven miles in Great Western tradition along the spectacular Torbay coast to Churston and through the wooded slopes bordering the Dart estuary to Kingswear.